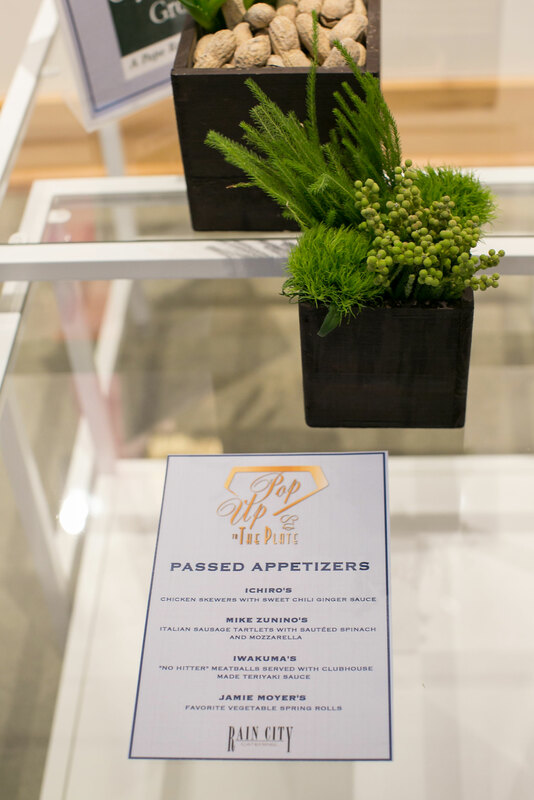 Pop Up Restaurant | For one night only, the Harbor History Museum was transformed into a pop up restaurant, for a one of a kind dining experience. 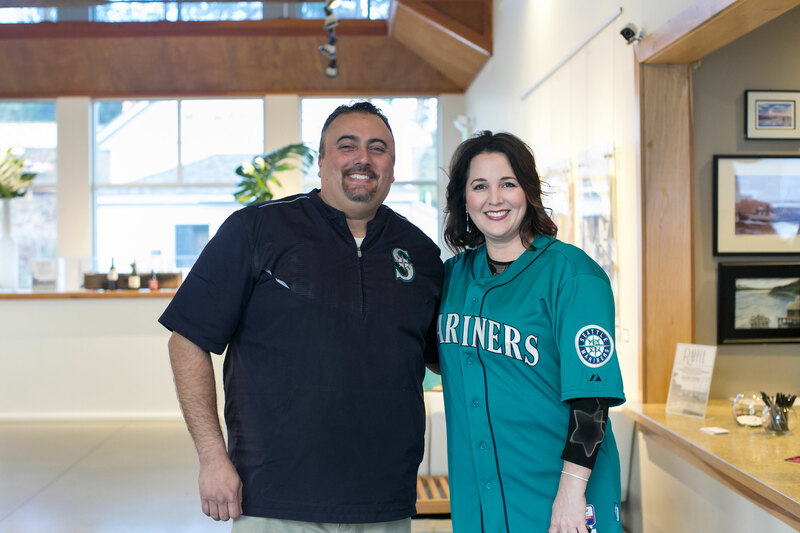 Seattle Mariners executive chef, Jeremy Bryant catered the night, filling the menu with some of the Mariners favorites dishes. 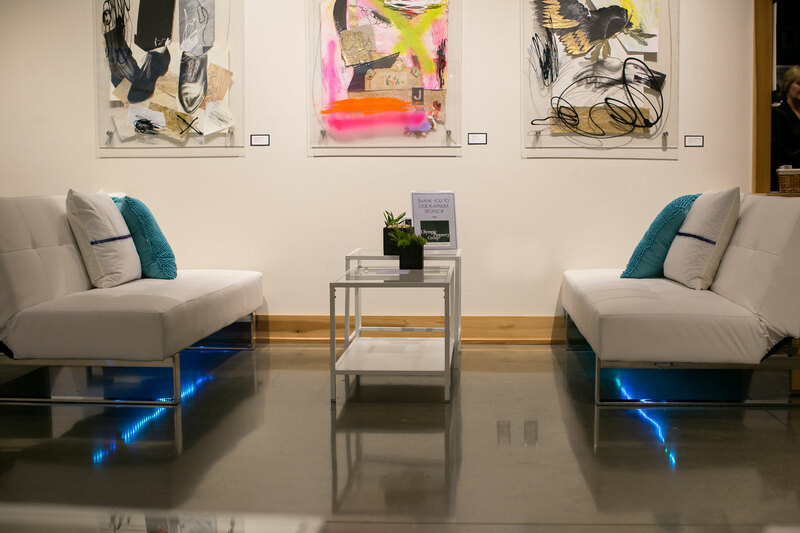 A big thank you to Dr. Karla Bloomquist, D.D.S. 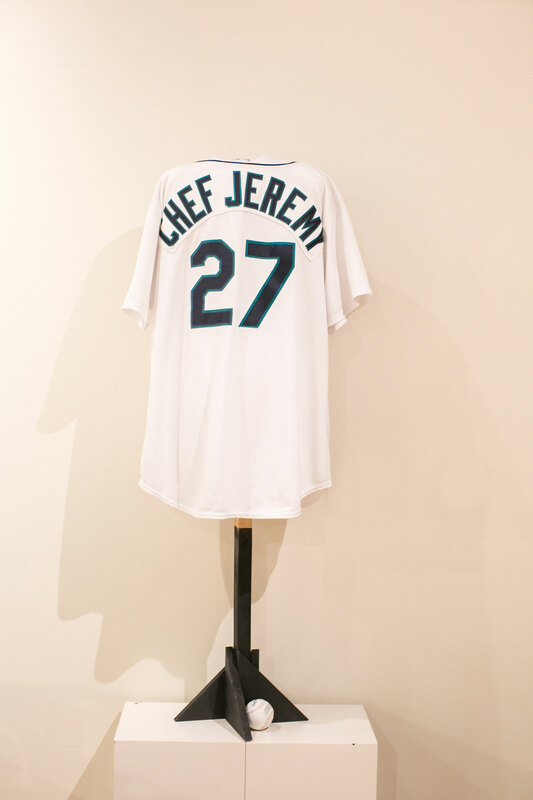 for her vision and connection to Chef Jeremy. 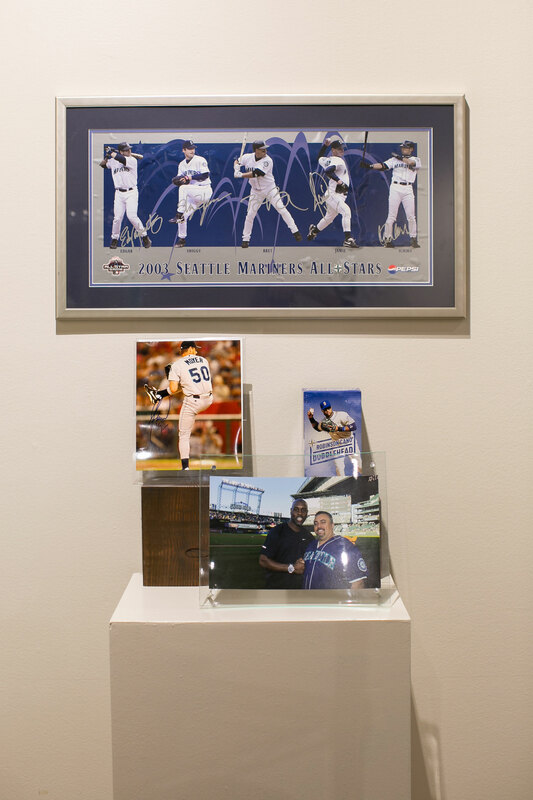 Karla’s brother Willie Bloomquist played for the Seattle Mariners (2002-2008/2014-2015). 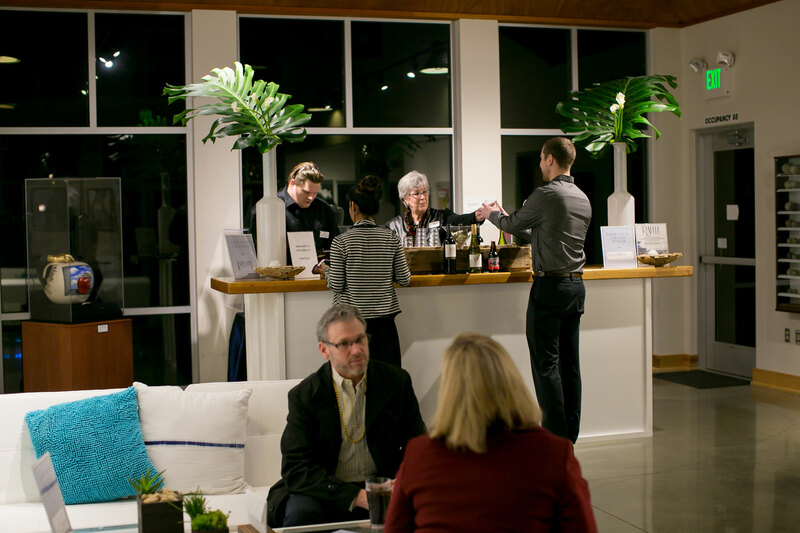 Cocktail hour | As guests entered the museum, the lobby was used for a modern cocktail hour. 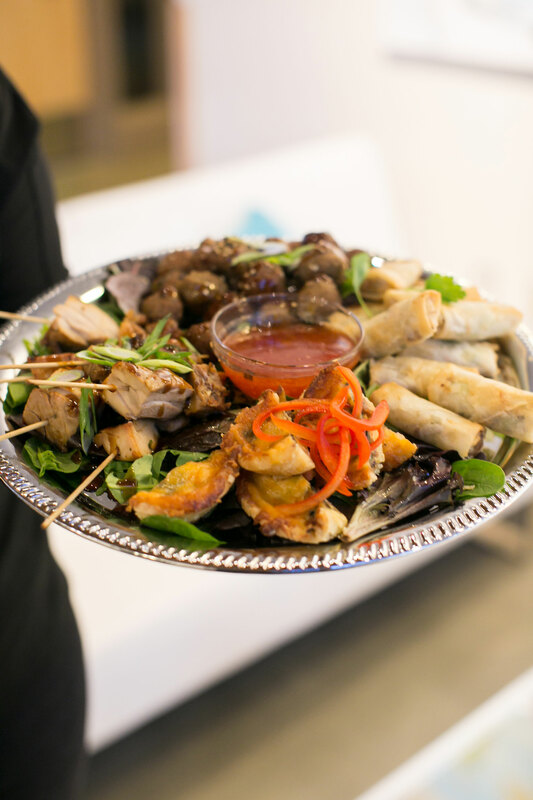 Food Experience | An array of appetizers were presented to guests to kick off the food experience. 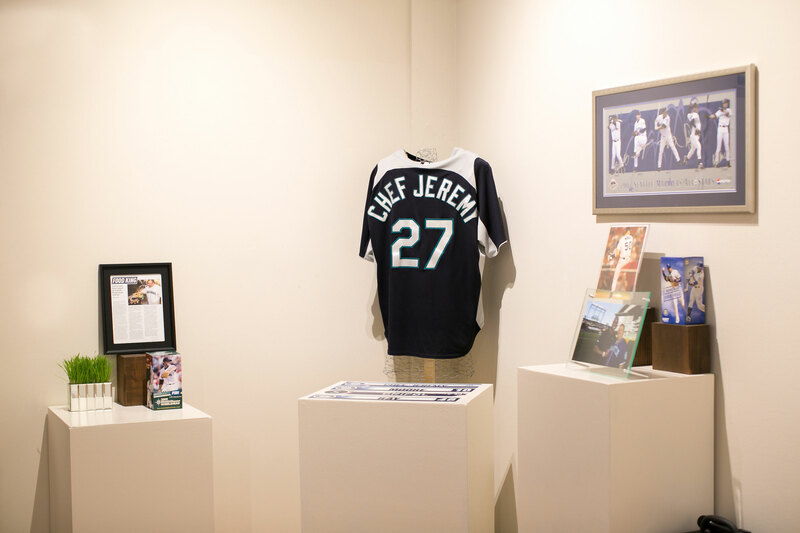 The menu featured Mariner’s players and their favorite foods. 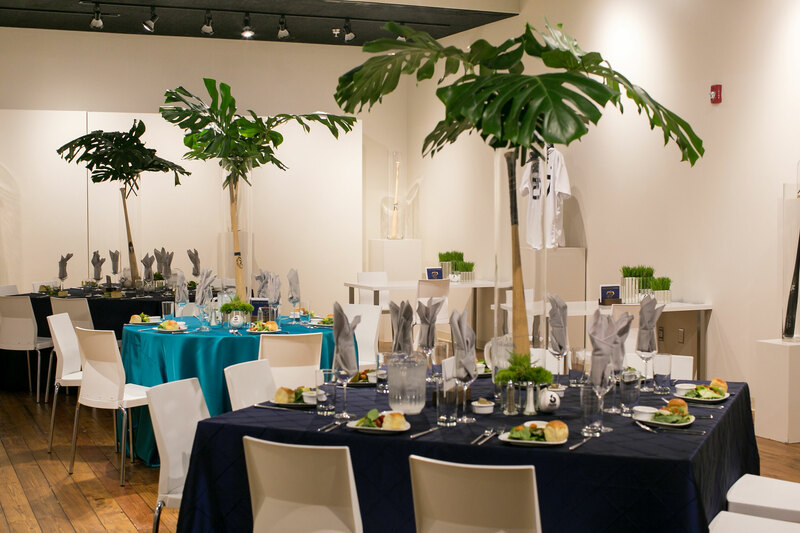 The Auction | Jeremy Bryant used this pop up restaurant as an opportunity to do something good. 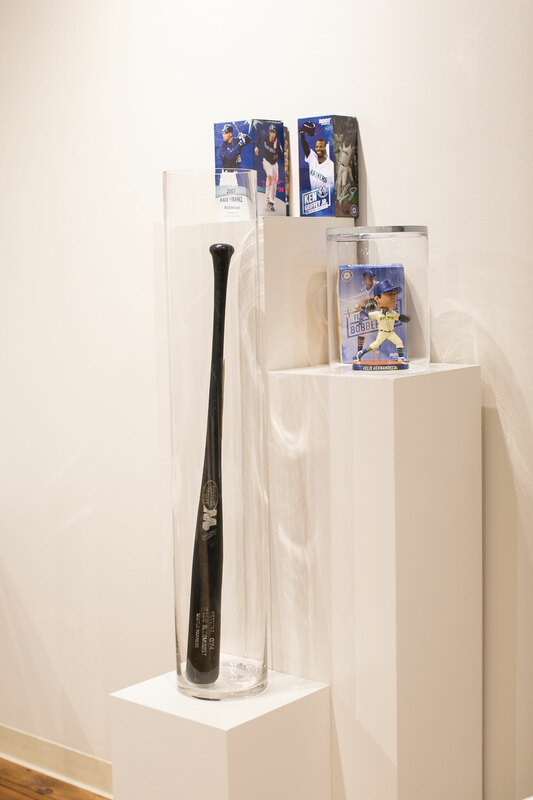 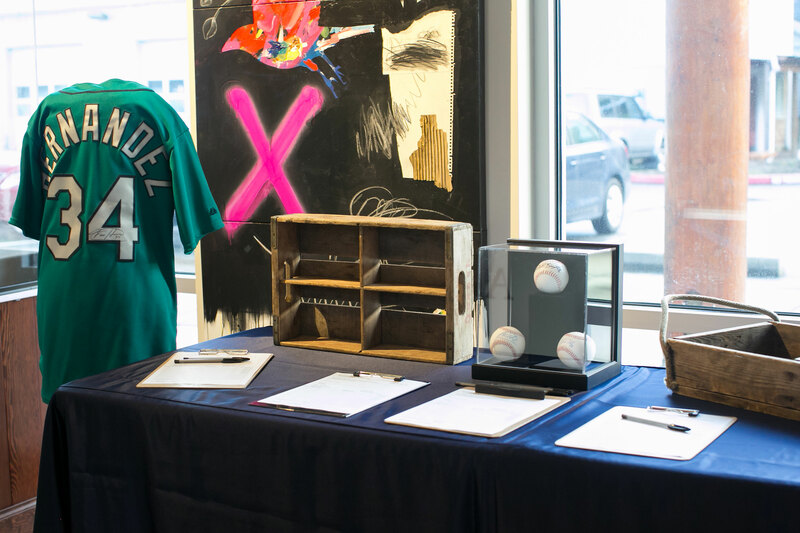 He generously donated a few pieces of signed Mariners memorabilia to auction off to support the Harbor History Museum. 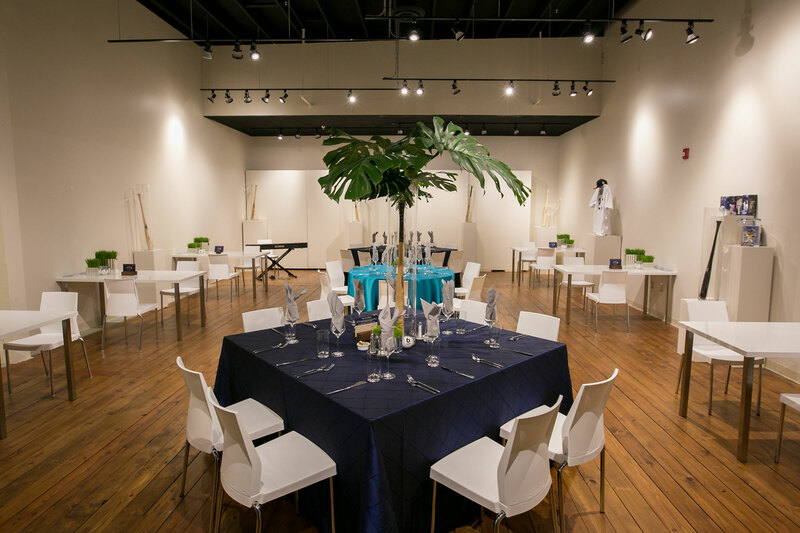 The Dining Room | A gallery in the museum was transformed into “The Rain City Restaurant” and used for the main dining course. 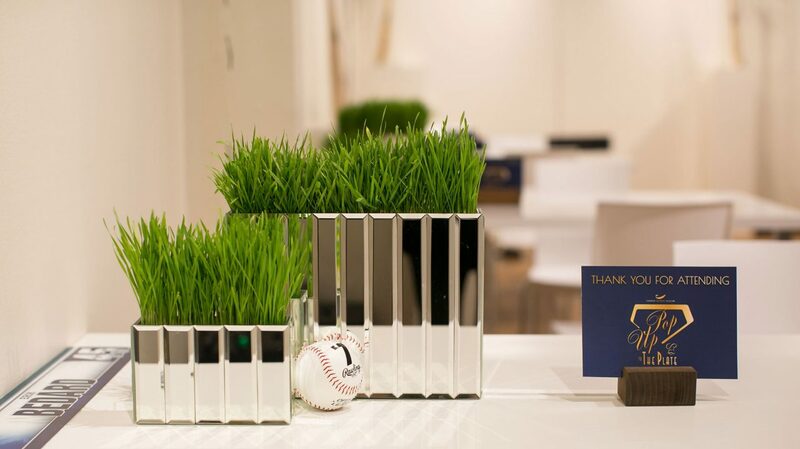 The Dining Decor | Baseballs, wheat grass and an array of Jeremy’s memorabilia decorated the room. 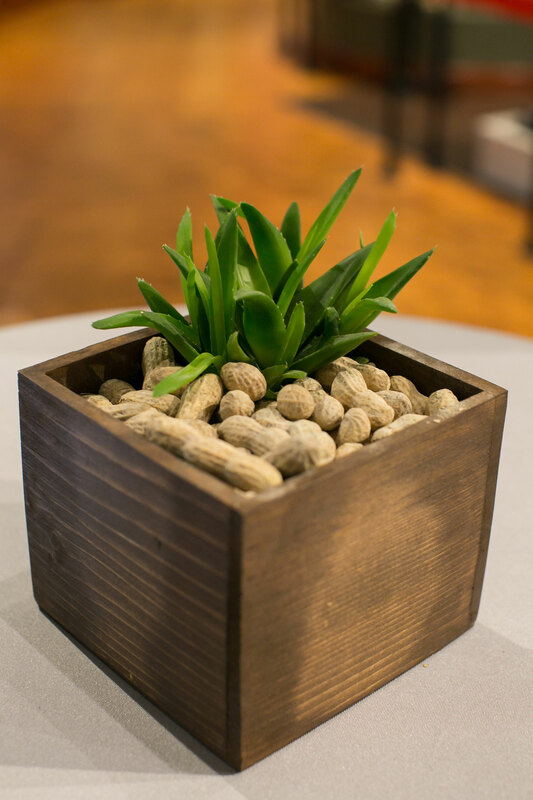 We wanted the room to look like a restaurant that Jeremy himself would own. 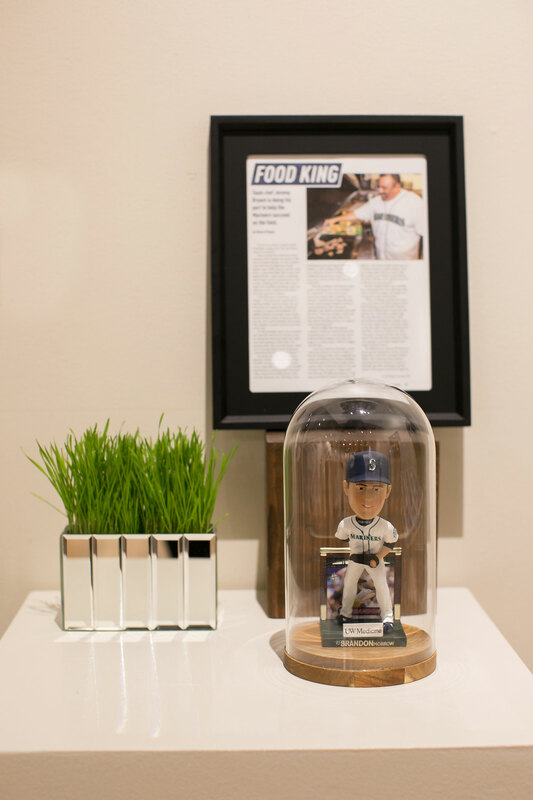 Memorabilia | Pedestals proudly displayed Chef Jeremy’s memorabilia from his years of working along side the Mariners. 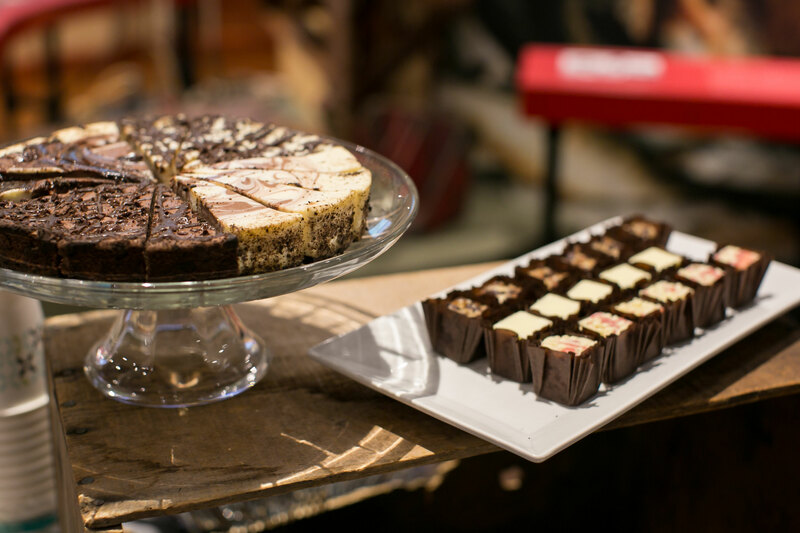 Dessert & Peanuts | Utilizing the Harbor History Museum, dessert was held amongst the displays. 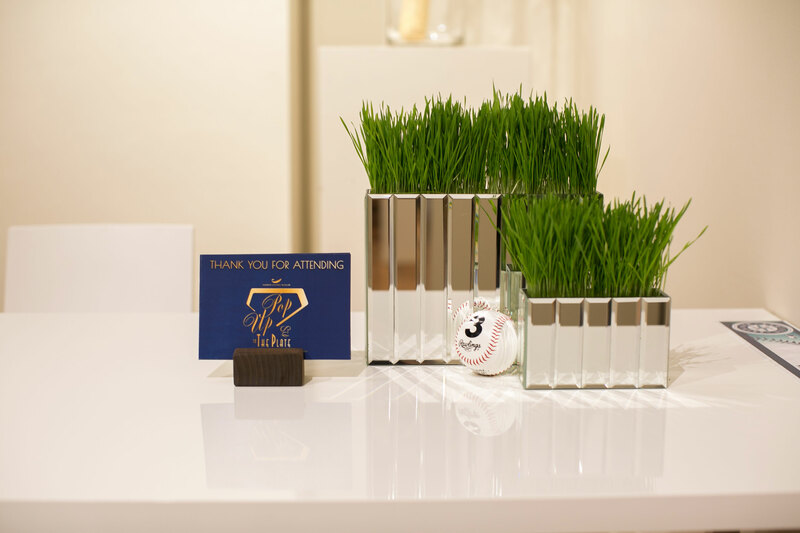 Guests browsed and noshed as the evening came to a tasty close. 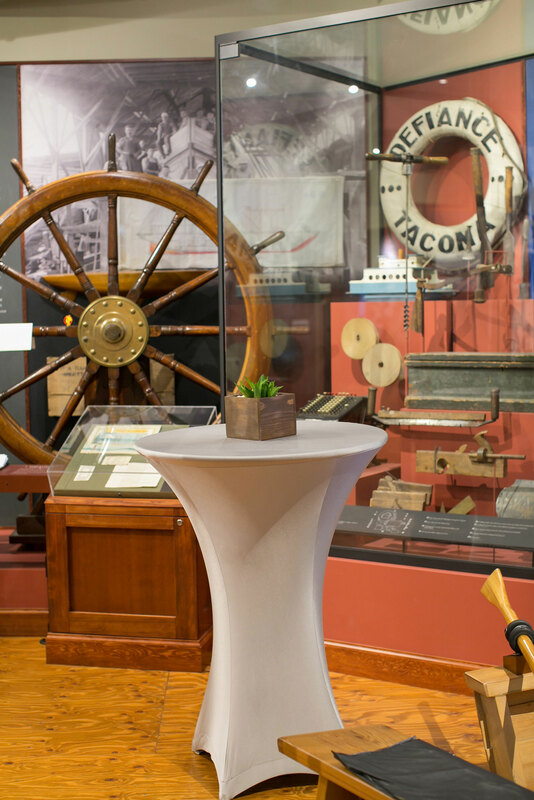 Thank you | Thank you to Jeremy Bryant, his team and the staff at the Harbor History Museum for making this event possible. 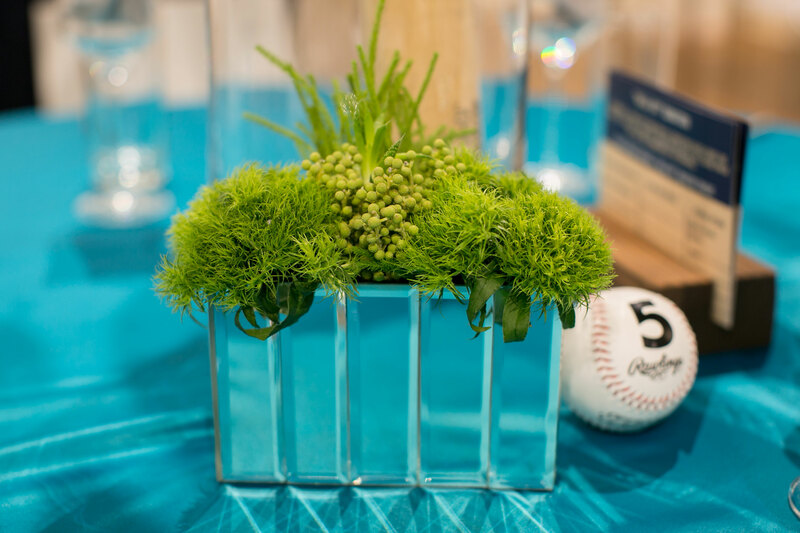 It was honor to partner with you to support this great cause.